Aluminium Garden Furniture There is 1 product. 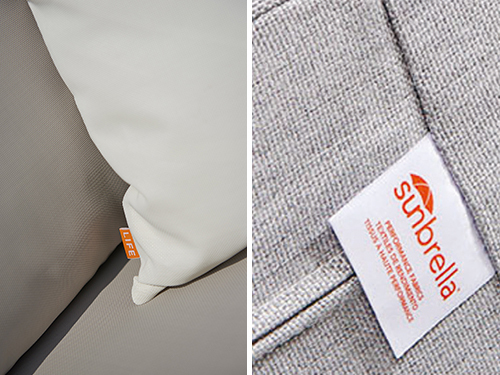 The Sunbrella cushions can also remain outdoors for the entire season; the fabric feels like an "ordinary" interior fabric but has the properties which allow it to remain outdoors in all weather conditions. One of the best ways of ensuring that your Sunbrella Textilene continues to look good and to postpone extensive maintenance or a major clean is to maintain the fabric correctly. You do this by immediately wiping off any dirt and stains before they are absorbed by the fabric.